Jonathan’s has a great blog about traveling. His stories of travel and photograph’s are fantastic. Check him out! I blog because it is rewarding, relaxing and fun. 3) Which of your blog posts are you most proud of and why? 4) What is your favorite musician/band? 6) If you could be any fictional character, who would it be and why? Belle from the tv show, “Once upon a Time.” She gets to play the love interest to Rumpelstiltskin. I love the Actor Robert Carlyle, who plays him. 7) What is your favorite movie and why? Any movie with Adam Sandler. He makes me laugh and looks like my son. 8) What are three things you want to do before you die? 3) Do voice overs for a Pixar/Disney film. 9) What advice would you give a child right now? Feel free to come and talk to me about anything. 10) Do you like Shakespeare? 11) What is your strongest personality trait? *Since I received 2 awards, I am just going to post Jonathan’s questions and my answers. 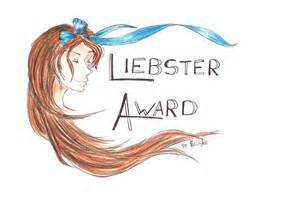 This entry was posted in author, award liebster, blogging, new blogger and tagged artist, author, award, liebster, New blogger by avsweb. Bookmark the permalink. Belle from Once Upon A Time, yes! Awesome show and Rumple always stole the scene. Good choice.